In today’s neck-to-neck competitive world, how do you think you and your business will stand out amongst the huge number of competitors, along with a smaller budget and a high end location? Did you say a virtual office! Well, yes! That’s exactly will keep up your business floating in this market. It's a test with which all entrepreneurs are familiar, however one that must be overcome to keep on growing. An expert virtual address situated in a noteworthy business centre, complete with mail sending administrations and access to work area space and meeting rooms in which to meet with customers, gives you the presence of a bigger organization at a small amount of the cost and will produce that perfect picture for your business.If you and your business is still at the beginning periods of foundation and just need a place of work while you telecommute, at that point a virtual office is an ideal alternative for you. Make the ideal image for your business with an extensive variety of services at our Altrade Business Centre which is here to enable you to build up a noteworthy notoriety of your business. In today’s neck-to-neck competitive world, how do you think you and your business will stand out amongst the huge number of competitors, along with a smaller budget and a high end location? Did you say a virtual office! Well, yes! That’s exactly will keep up your business floating in this market. It's a test with which all entrepreneurs are familiar, however one that must be overcome to keep on growing. An expert virtual address situated in a noteworthy business centre, complete with mail sending administrations and access to work area space and meeting rooms in which to meet with customers, gives you the presence of a bigger organization at a small amount of the cost and will produce that perfect picture for your business.If you and your business is still at the beginning periods of foundation and just need a place of work while you telecommute, at that point a virtual office is an ideal alternative for you. Make the ideal image for your business with an extensive variety of services at our Altrade Business Centre which is here to enable you to build up a noteworthy notoriety of your business. The Location speaks everything for a business and the prestigious address can give the ideal impression to impact potential customers towards your business. However, with our virtual workplaces, there's no compelling reason to go up against the cost of leasing or purchasing. You can have your own renowned virtual address, with our neighbourly group close by to deal with your emails and answer telephone calls, giving your organization the expert picture it needs to convey the impact on your clientele. A virtual office at Altrade Business Centre offers best in class infrastructural offices and different business bolster administrations like a live assistant, and telephone number with the entire interchanges and foundation at exceedingly reasonable costs. 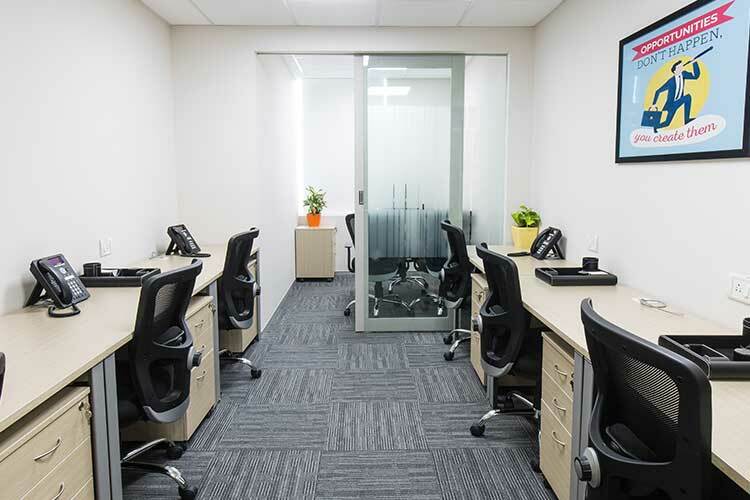 With our central location in Gurgaon, your business is sure to reach a level up through our virtual office facilities with no overhead and additional costs.